On December 3, 2014, John Garrett Smith was convicted in Clark County, Washington of attempted murder in the second degree, and sentenced to twelve years in prison. His conviction was overturned on appeal in October 2016, only to be reinstated in November 2017 by the Supreme Court of Washington State. The state courts have debated only the legal technicalities of the case, they have yet to address the alleged fraud that led to Smith’s wrongful conviction. Vancouver Police Detective Sandra Aldridge built the State’s case against Garrett Smith on a foundation of “Kabuki Theater”. There is no better way to manufacture a criminal case narrative and ensure an airtight prosecution than to submit multiple police reports under the names of other officers, each one substantiating the claims made by the lead detective. That is reportedly what was done in Smith’s case. According to documents discovered through recent public records disclosure, Detective Aldridge continues to utilize the same alleged pattern and practice of misconduct today. Vancouver Police Officer Ly Rotha Yong was first to arrive at the Smith home at 11:27 PM on June 2nd, 2013. According to case records, Yong was heavily involved in locating, arresting and transporting Smith to jail in the early morning hours of June 3rd, and was not cleared from Clark County Jail booking until approximately 3 AM. When Officer Yong returned to the precinct, she submitted a half-page, handwritten statement of probable cause for the arrest of John Garrett Smith before finishing her shift and heading home. Hours later, when Detective Aldridge reported to work, she was assigned to investigate the Smith case. Aldridge claims then to have reviewed a 6-page single-spaced police report submitted by Officer Yong complete with crime scene photos taken at several locations the previous night. The report demonstrated an unusually detailed knowledge of the events leading up to and during the altercation between Smith and his wife, and included in depth commentary on Mr. and Mrs. Smith's marital relationship and financial history. In an audio-taped defense interview, Officer Yong stated that she had minimal communication with Smith’s wife and step-daughter the night of the incident. In the same interview, Yong was unable to identify which pictures she had taken, stated someone else attached the pictures to the report, did not know which other officers responded to the Smith home, and identified the wrong bedroom as the scene of the alleged crime. By 9 AM on June 3rd, approximately ten hours after the alleged crime occurred, and less than two hours after being assigned to the case, Detective Aldridge was at the jail conducting an unrecorded, pre-arraignment interrogation of Garrett Smith despite Smith inquiring twice about his right to have an attorney present. Aldridge chronicled her conclusions from that interview, including her determination of Smith’s absolute guilt, in a 13-page police report as a companion piece to the 6-page report attributed to Officer Yong. The third in the trilogy of finely-woven-together narrative reports was submitted weeks later in the name of Aldridge’s immediate supervisor, Sgt. Andy Hamlin. The 7-page single-spaced additional report, credited to but not written by Sgt. Hamlin, included elaborate explanations meant to smooth over some of the inconsistencies that had already surfaced. While Detective Aldridge built a cohesive drama in three parts allegedly to enter fraudulently into record as the corroborating testimony of three separate law enforcement officers, the alleged fabrications created a bumpy road during witness interviews, pre-trial hearings and at trial. Sgt. 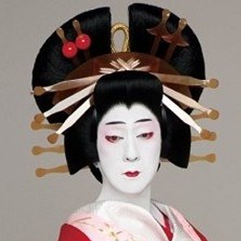 Hamlin and Officer Yong were not able to accurately testify to what had been written on their behalf by Kabuki performer, Detective Aldridge. The Prosecuting Attorney called Aldridge back to the stand 7 times during trial –more than any other witness for prosecution or defense—to “rehabilitate” testimony made by her colleagues and other State’s witnesses that conflicted with the narrative Aldridge reportedly created. Detective Aldridge’s alleged impersonation of other law enforcement officers is just one in a list of problems with the State’s case against John Garrett Smith that raises serious ethical questions. It may be common practice for officers to write police reports for other officers. However, the example here demonstrates an escalation of alleged dishonesty that, if founded, would qualify as subornation of perjury and fraud upon the court. This alleged bad act, and others committed by Detective Sandra Aldridge—including alleged perjury, alleged witness intimidation, and alleged fabrication of evidence—effectively and allegedly deprived John Garrett Smith of his right to a fair trial. Does the City of Vancouver have specific attorneys on the payroll just to handle litigation resulting from violations of civil rights committed by Detective Sandra Aldridge?